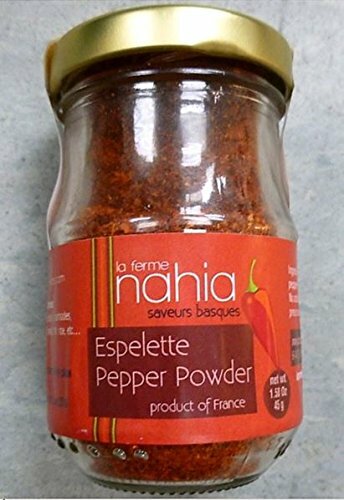 The Piment of Espelette Nahia is the finest on the market. Its exeptional quality has quickly gained both professional and connoisseurs acclaim. In 2013 la ferme nahia received the silver award for its piment of Espelette at Concours Général Agricole de Paris. Paris International Agricultural Show or Concours général agricole is one of the world's largest and most important agricultural shows held in Paris. Awarded products are no doubt the ambassadors of french food excellence. If you have any questions about this product by HANIA, contact us by completing and submitting the form below. If you are looking for a specif part number, please include it with your message.